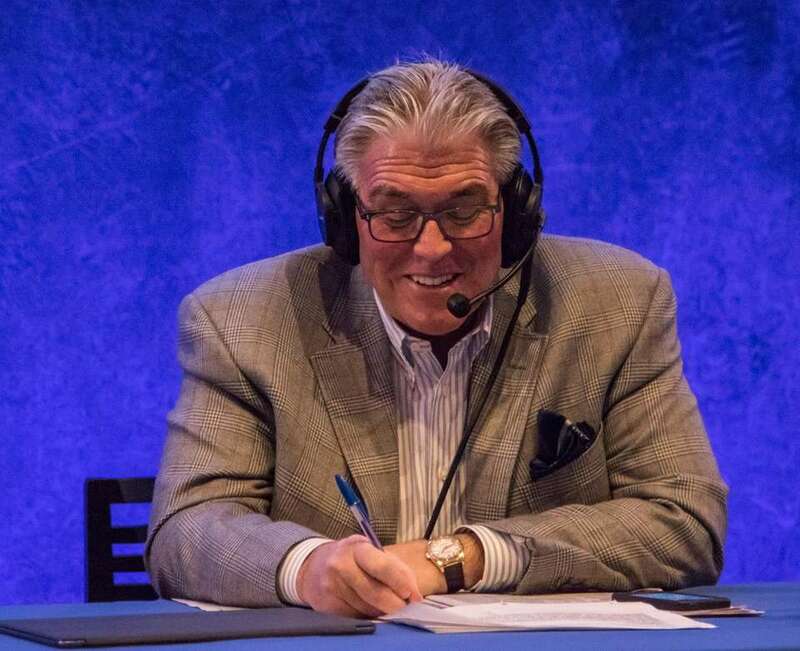 Scenes from the Paley Center in Manhattan as Mike Francesa broadcasts his second-to-last show on WFAN on Thursday, Dec. 14, 2017. 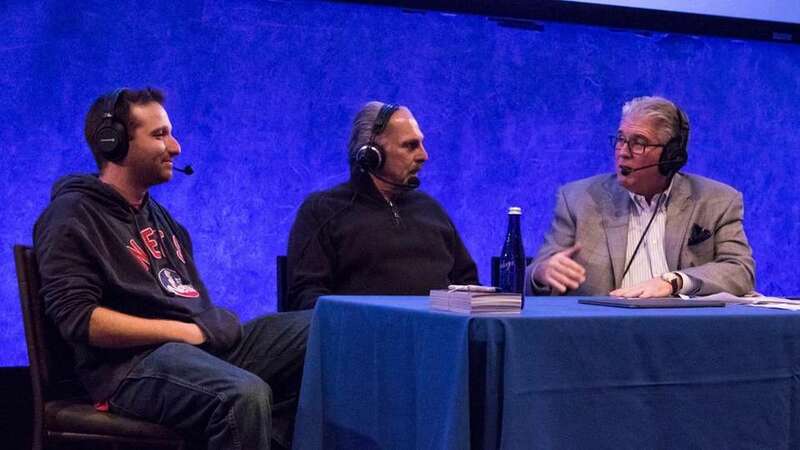 From left, Evan Roberts and Joe Benigno join Mike Francesa at the Paley Center for Media in Manhattan for Francesa's penultimate show on WFAN on Thursday, Dec. 14, 2017. 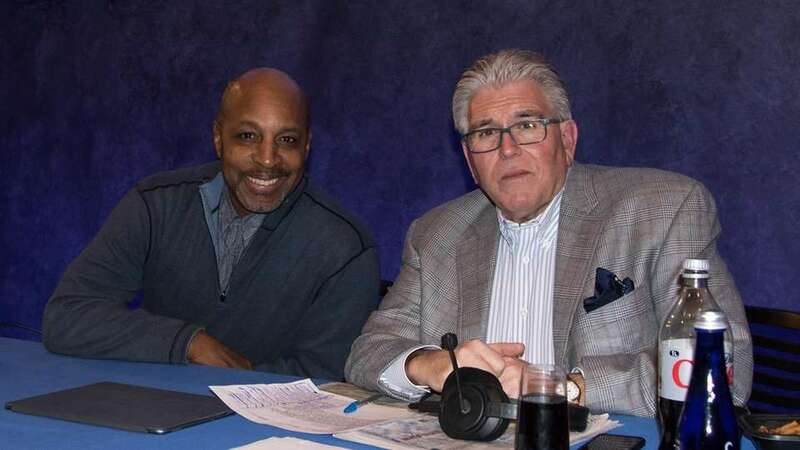 Mike Francesa and Willie Randolph at the Paley Center for Media in Manhattan for his penultimate show on WFAN on Thursday, Dec. 14, 2017. 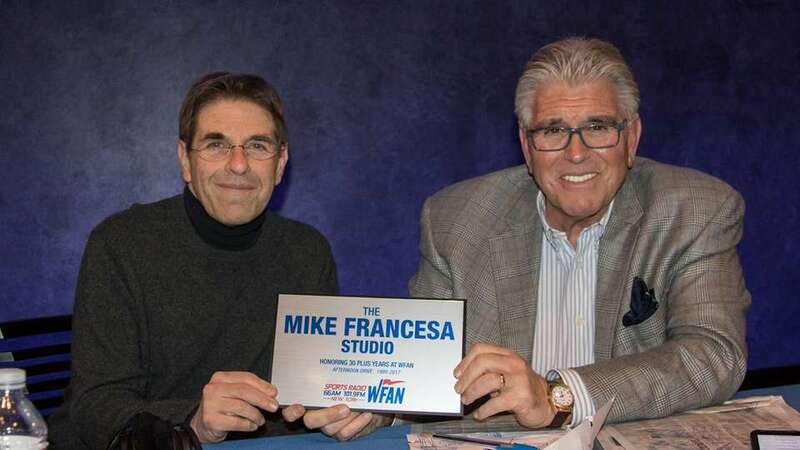 Mike Francesa and WFAN program director Mark Chernoff display new studio plaque at the Paley Center for Media in Manhattan for his penultimate show on WFAN on Thursday, Dec. 14, 2017. 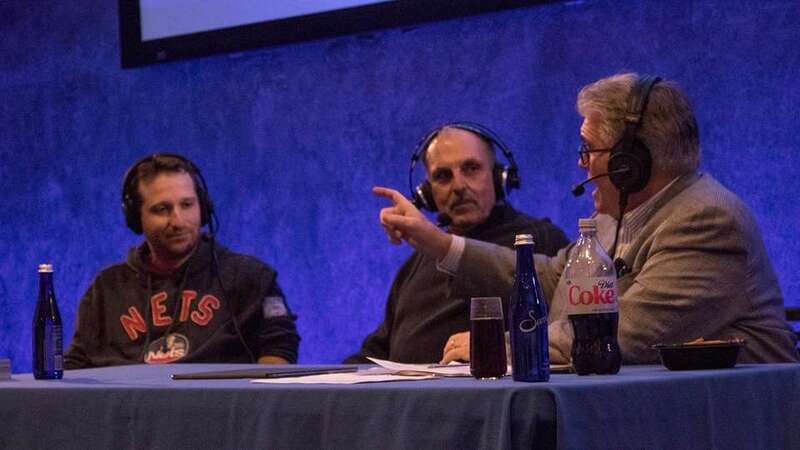 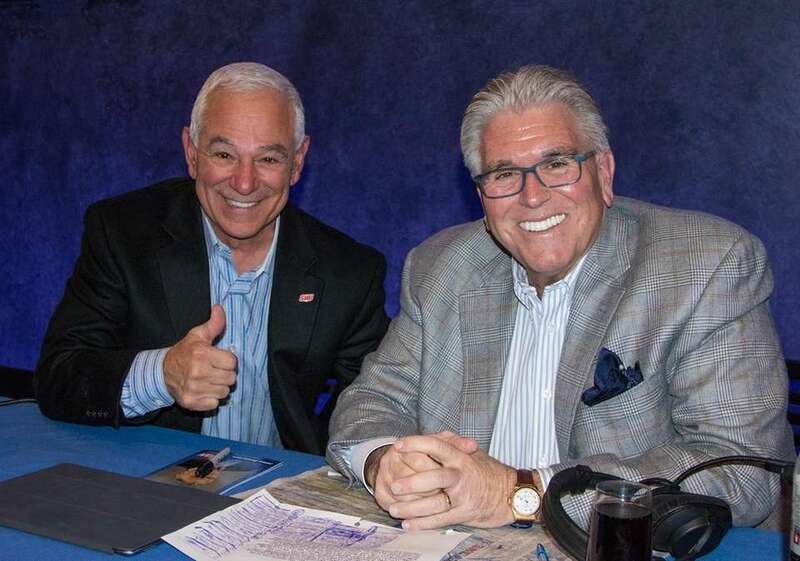 Mike Francesa with Bobby Valentine at the Paley Center for Media in Manhattan for his penultimate show on WFAN on Thursday, Dec. 14, 2017. 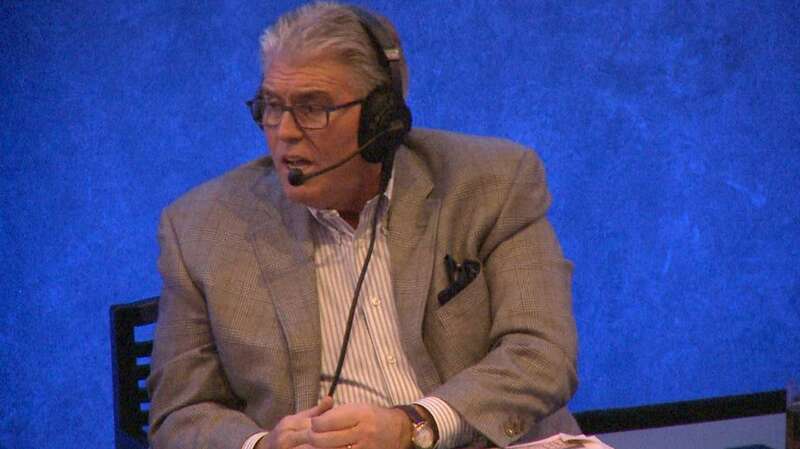 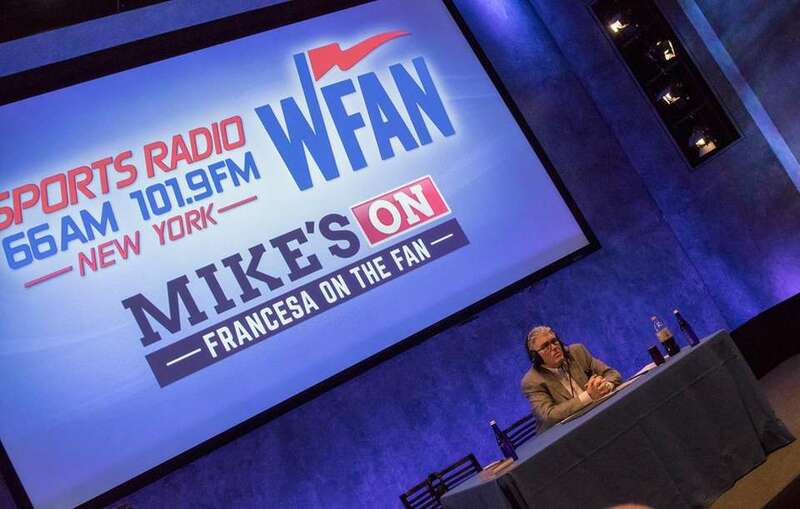 Mike Francesa at the Paley Center for Media in Manhattan for his penultimate show on WFAN on Thursday, Dec. 14, 2017.